Berrendo Elementary is a K-5 school in the Roswell Independent School District in Roswell, New Mexico. 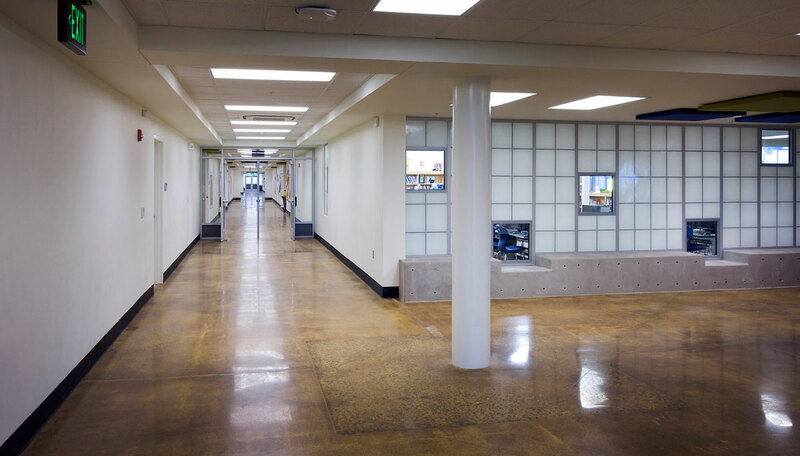 The project scope called for a complete overhaul of the existing facility plus a new kindergarten wing, media center and secure front entry. 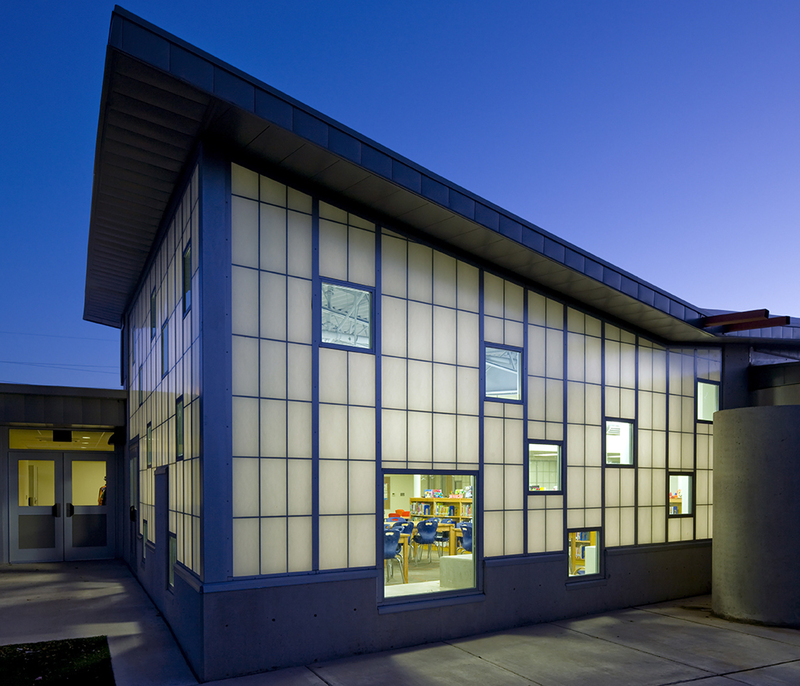 With original portions of the school over 60 years old, it is a landmark in the community – many current teachers were former students. 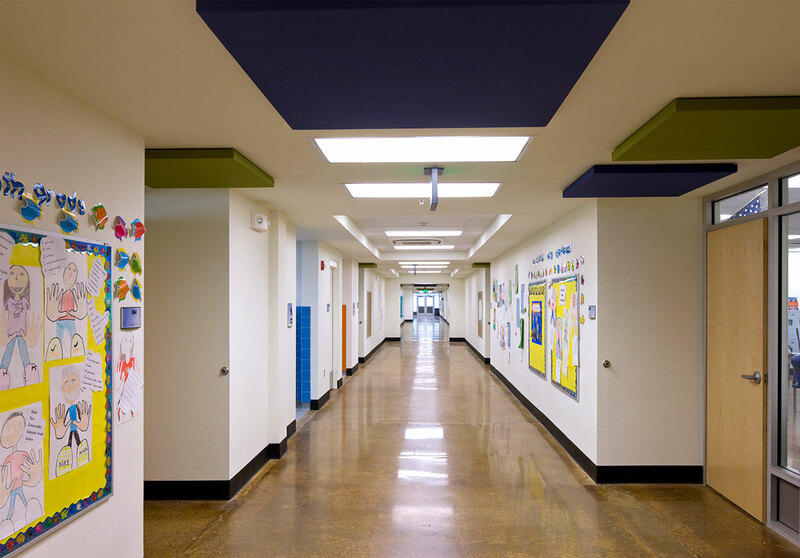 This project not only helped the school meet its educational program but injected new life into the building, transforming it into a modern supportive learning environment for future generations of students. 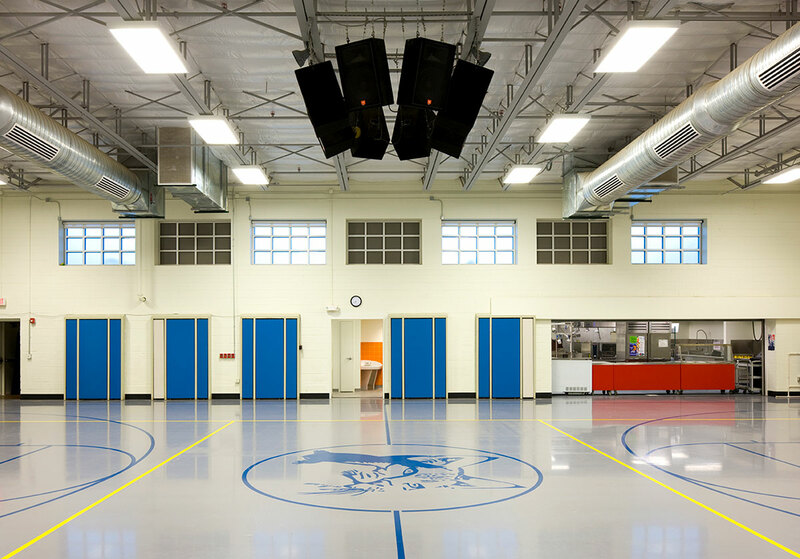 The renewal of the school began with the major renovation. 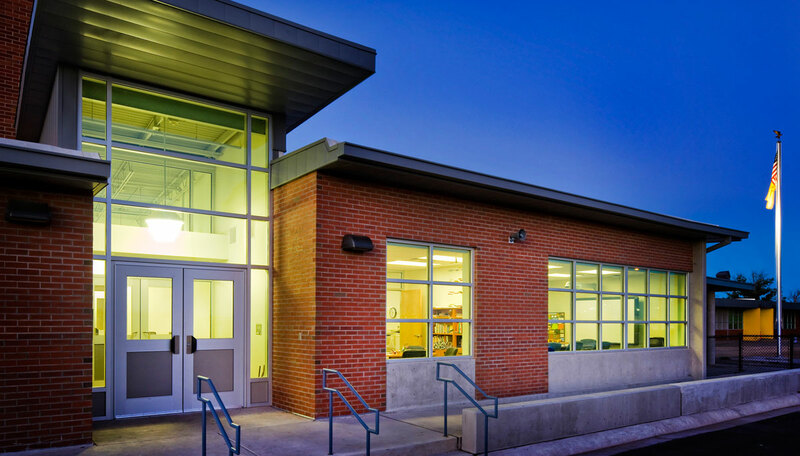 This included new HVAC, upgraded utilities including connecting the school to city water and envelope upgrades including adding continuous insulation and new windows. Additionally there are all new finishes throughout, new enlarged restrooms, the addition of fire sprinklers and a total kitchen renovation. 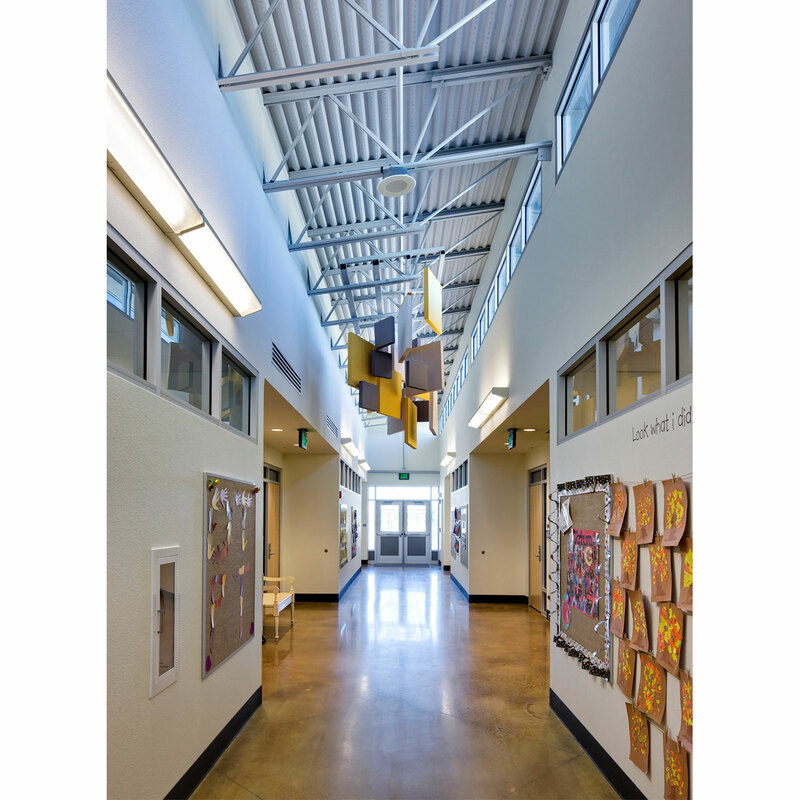 With the three strategic additions, the transformation of the school was completed. 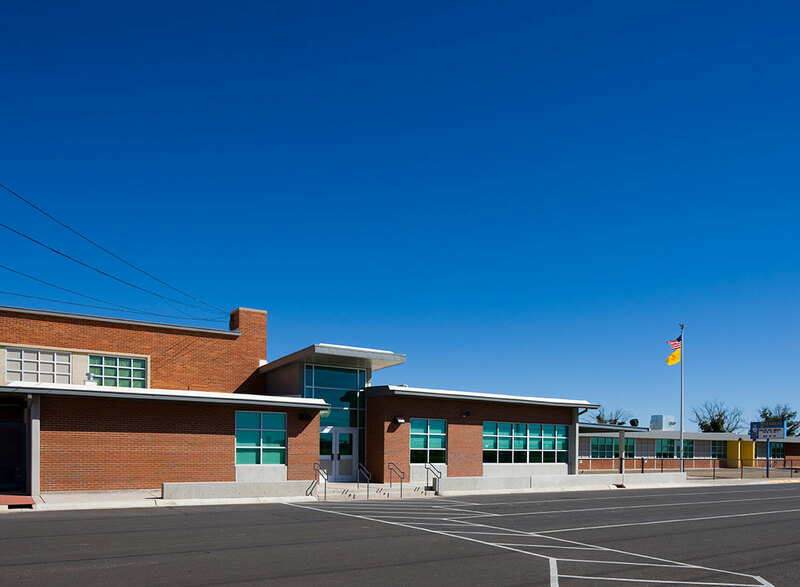 The overall layout of the existing school was an “L” shape and with the new addition of the kindergarten wing, a new protected courtyard was created for the playground. 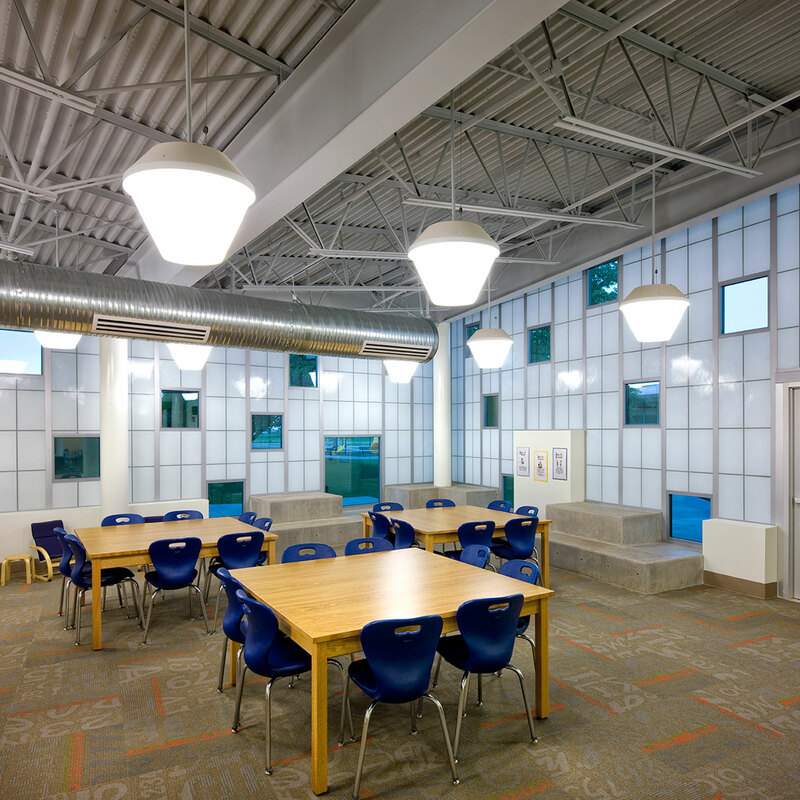 The media center opened up the intersection of the old “L” bringing in natural light, but it is also designed as a community space that could be used after hours. Finally the new entry and associated drop-off, were designed to not only increase the safety of students and staff but to also be a new welcoming, friendly face for the school.